Cleveland Indians third baseman Josh Donaldson (27) shares a laugh in the dugout during the sixth inning against the Detroit Tigers at Progressive Field. Reportedly, former Cleveland Indians infielder Josh Donaldson has agreed to sign with a one-year contract with the Atlanta Braves. CLEVELAND -- Former Cleveland Indians third baseman Josh Donaldson reportedly has agreed to sign with the Atlanta Braves. According to Ken Rosenthal of The Athletic, Donaldson agreed to a one-year deal worth $23 million that will become official after the soon-to-be 33-year old infielder, and former American League Most Valuable Player, passes a physical. Signing with the Braves gives Donaldson a reunion of sorts with the man responsible for bringing him to the Toronto Blue Jays in a trade with the Oakland Athletics in November of 2014, current Atlanta executive vice president/general manager Alex Anthopoulos. During his tenure in Toronto, Donaldson won the AL MVP Award (2015), the Hank Aaron Award (2015) and The Sporting News’ Major League Player of the Year (2015), and was a two-time AL All-Star, as well as a two-time AL Silver Slugger winner. Donaldson’s $23 million salary with #Braves will match what he earned last season in his final year of arbitration, which at the time was a record for an arb-eligible player. Donaldson struggled through calf issues for much of the 2018 regular season, but a late-season trade to Cleveland from Toronto gave him a plan and a purpose. 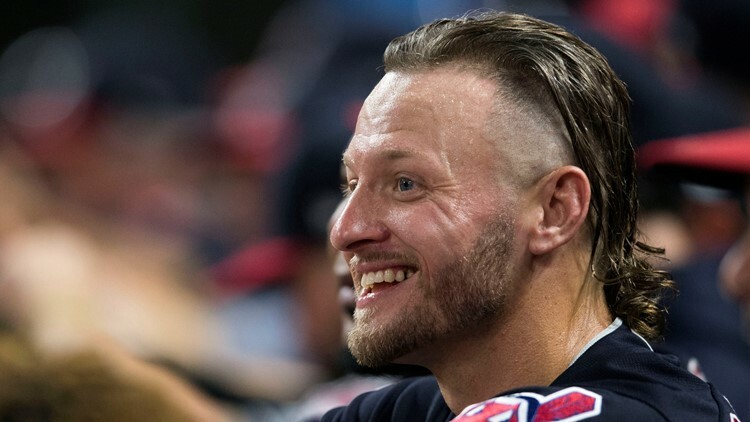 Going from a non-playoff team in Toronto to a team in the Indians with World Series aspirations, Donaldson continued to work through his injury issues, went through minor-league rehab assignments and made a return trip to the postseason. Cleveland Indians third baseman Josh Donaldson (27) bats against the Kansas City Royals at Kauffman Stadium. 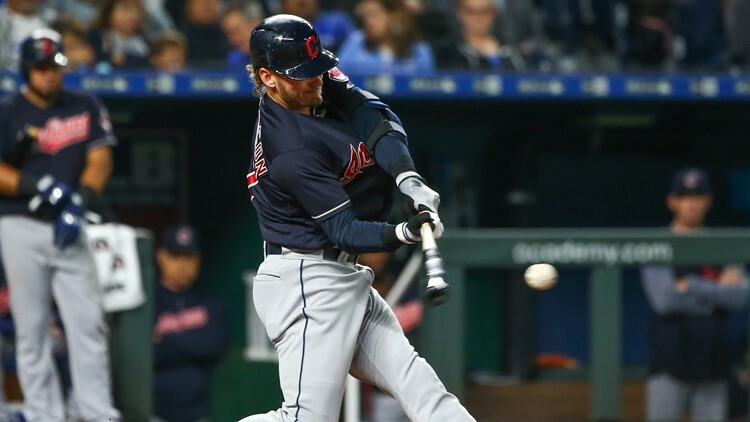 In 16 regular-season games for the Indians, Donaldson had 14 hits in 50 at-bats with three doubles, three home runs, eight runs scored and seven RBI. Additionally, Donaldson registered 10 walks against 10 strikeouts in 60 plate appearances. Donaldson had a .280 batting average, along with .400 on-base, .520 slugging and .920 on-base-plus slugging percentages with the Indians. Donaldson had one hit in 11 at-bats and drew one walk in three games against the Houston Astros in the 2018 American League Division Series.